Over/Under: Over 156.0 at 1.90 Bet Now! These are two sides that have been in the Eurocup from the beginning of the campaign and they cannot be split for records. They both hold 4-2 Last 32 record and both notched a 7-3 record in the regular season so both teams come into the Last 16 with an 11-5 record for the Eurocup campaign. If both sides win a game, they’ll have a 12-6 record each but this will be enough to send one team through and one team home, depending on the aggregate score. The fact that the hosts have a 7-1 record at home in the Eurocup this season means that they’ll be very confident going into this game. However, it will place them under pressure in this game. Knowing that their away form stands at 4-4, the hosts will be desperate to grab a good win in this game to boost their chances of success but if they open up too much, it could allow the opposition in behind them. The nature of a two-legged game means teams have to react differently, and it will be interesting to see how CAI Zaragoza set out their stall in this match. The away team head to Spain knowing that they can grab points. They have an average of 84.1 points over the course of the season but in the Last 32, this figure dipped to 78.3. This will be a slight concern for the way team but they did manage to improve its defensive work, which is often the cornerstone of basketball success. The Italian team is enjoying its first Eurocup campaign, so reaching the Last 16s will be marked as a success but they won’t want the adventure to stop now, and a good performance will give them the platform for success in the second leg. Given Zaragoza’s home form this season, it makes sense to back them in this game. 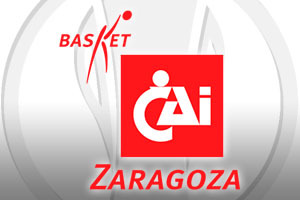 You can take CAI Zaragoza at -6, at odds of 1.90, for the first leg of this tie. With respect to the Over/Under market, you should look to go OVER 156.0 at odds of 1.90. Bet Now!